87. Meet the King of the exercise movement. Jack LaLanne lived to be 96. Take it from Jack: “If man made it, don’t eat it.” His videos from over fifty years ago are relevant today. Be sure to check out some of his videos ... they're fun and inspirational. One of my favorite visuals. 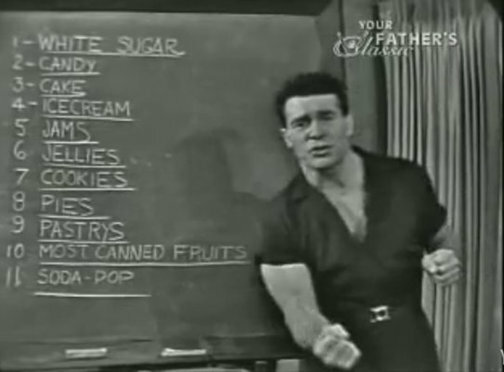 Over sixty years ago, Jack LaLanne exposed us to the dangers of sugar and processed junk food. He doesn't call them carbs - as most people do today. He calls out the bad foods!